Garland’s hung, gifts are wrapped and under the tree, aromas from the kitchen are spreading through the house and now it’s time to light this party up!. I’ve got your ultimate Christmas party soundtrack all ready to go! 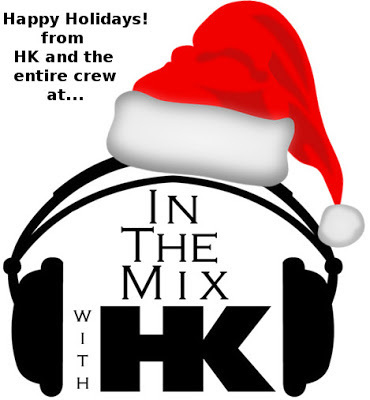 I’ll be throwin’ down some of your Christmas faves along with a Santa sled filled with beats, breakdowns and sonic snowballs. Plus exclusive HK remixes on Maroon 5, Demi Lovato, Taylor Swift, Portugal. The Man, Walk The Moon, Hailee Steinfeld and so much more! Keep those party pants on cause we CAN’T STOP the music! Next week’s New Year’s weekend show is all about you! Email me your #1 fave track of 2017 at hk@hkonthedecks.com and be a part of the party of the year. I’ll be remixing and spinning your picks for the best hits of 2017 in a New Year’s weekend show that’s gonna light that ball up!